Do US Citizens Need a Visa to Enter Austria? No, as a US citizenship holder, you do not need to apply for an Austrian Schengen Visa in order to enter Austria. You are allowed to travel to Austria for a maximum period of 90 days with your US passport only, as long as your passport is valid for at least 3 months after your planned return to US. For more information read Entry Requirements for US Citizens traveling to Europe. Do US Residents Need a Visa to Enter Austria? 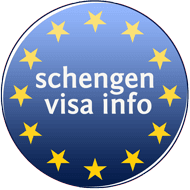 If you are a holder of the US Permanent Residence Card or US visa you must apply for the Austrian Schengen Visa which correlates with the purpose of your visit, as there are different types of visas available and specifically designed for your travel purpose.